I took a tour through many different industries and sites this week to bring you my selections for the most underappreciated stories of the week today. 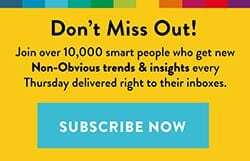 To be honest, I had a bit more freedom with these as I’m happy to share I submitted the final manuscript for my 2017 Trend Report last week and many of you saw the email invitation to join my advance reader’s club earlier this week. The response has been phenomenal and I’m digging through some amazing responses to narrow down the final group – so please be patient with me as we do that! 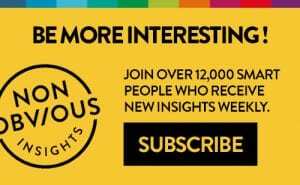 And in the meantime, I hope you enjoy the story selections this week which range from tax practices in Sweden to one of the most phenomenal panoramic photography projects I have ever seen. 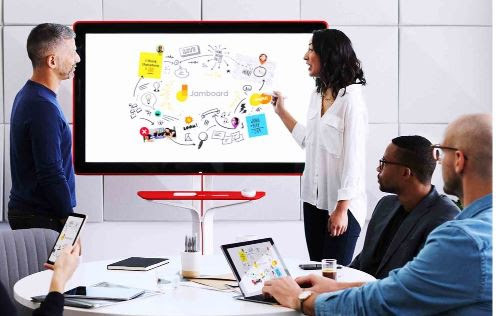 This new whiteboard product from Google called the Jamboard looks amazing, but it also illustrates how Google is managing to successfully make the transition from a virtual company to one that can launch great products as well. When considered alongside the news last week that Amazon is entering grocery retail and delivery, the lesson is clear: the most disruptive brands are the ones which can start by disrupting themselves. 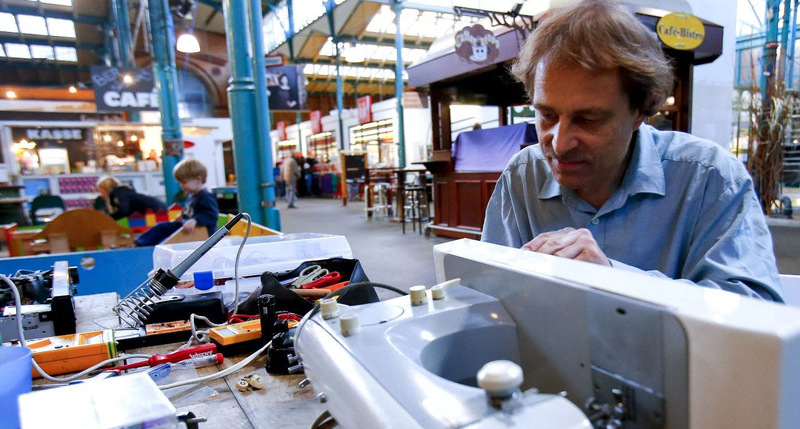 If legislation is approved, Swedes who bring bicycles, clothes or shoes to repair shops will be able to pay 12% in VAT tax, instead of the standard 25%. Those who hire repair people to fix household appliances can also claim a tax refund for the bill. The example is part of the growing “fixer” movement which this piece explores, and reminds us that the things we own perhaps shouldn’t be as disposable as we imagine them to be. Watching this beautifully imagined film of LA cityscapes made me crave a 4K TV more than anything else I have seen in the past year. As this short six minute video moves from one scene to another, the movement of the cars and life becomes mesmerizing to watch. It has everything great art should have – originality, vision and an emotional point of view. If you click nothing else in this email, make sure you follow the link below and watch the video. 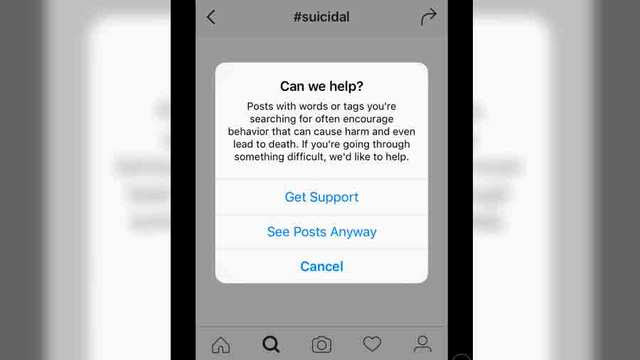 For all the attention that we give to the downside of social media being a place for narcissism and anonymous hate, this is an important example of the opposite – where a social platform tries to use its unique format to offer help in a critical moment where someone may be considering suicide. More than anything I think this effort is important and deserves recognition. It’s also a great idea. Could something as complex as a car ever be simplified enough that you could just download the plans and 3D print one at home? Honda has bigger ambitions than that. 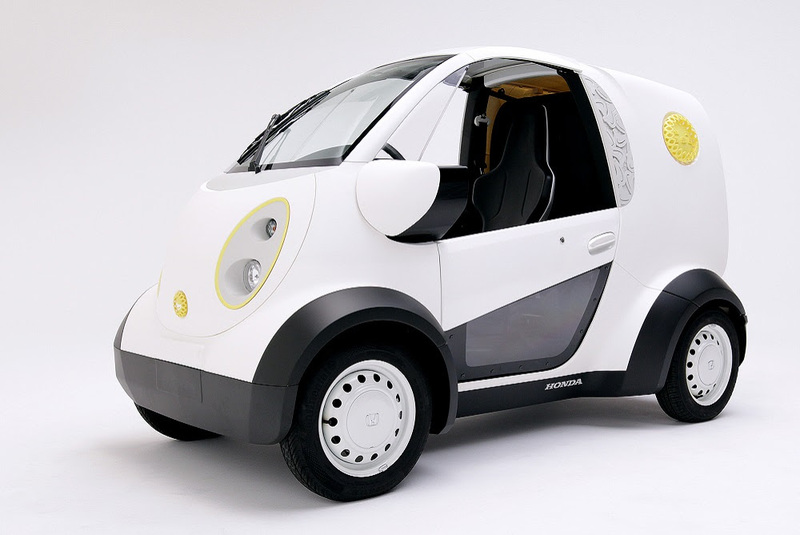 This story shares that the car is just the first prototype of the brand’s plans to create a system along with partner Kabuku, to allow people to design, print and build custom products more efficiently. Which leaves only one question: what will they offer next? This comprehensive report from consulting firm KPMG and H2 Ventures has plenty of fascinating insights about new startups whether you happen to be working in the Financial Services space or not. Some highlights include a UK-based banking concept called Atom where customers name their own bank and have their own logo, a Swedish e-commerce payment solution called Klarna which lets buyers try goods before paying, and a US-based simplified health insurance provider called Oscar. 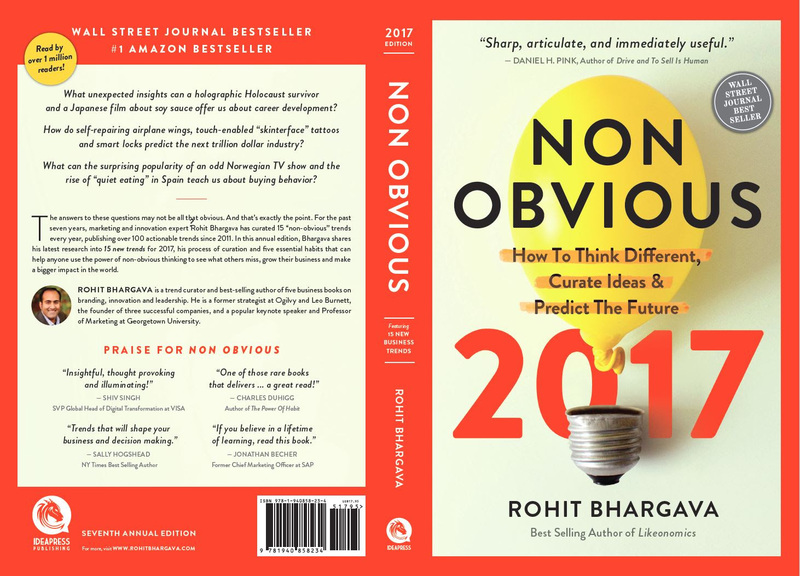 Want To Read An Early Advance Copy Of Non-Obvious 2017? 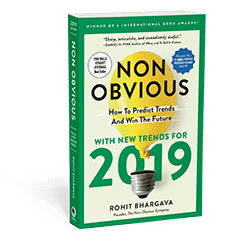 Earlier this week I sent out an invitation to join the early reader’s list for Non-Obvious 2017 and an amazing number of you have already responded. Just in case you missed that note, the official survey is linked below. Please do fill it out soon if you’re interested as we will be making our selections by the end of this week. Thanks!